The history of the music industry is written by the winners. But that doesn’t mean all its winners have had a hand in that history. Denny Tedesco, director of the documentary The Wrecking Crew, knows this more than most. During the ’50s and ’60s, the loose cabal of session musicians known informally as The Wrecking Crew dominated the West Coast studio scene, backing an array of artists as popular yet diverse as Frank Sinatra, Elvis Presley, Sam Cooke, The Beach Boys, Nat King Cole, and The Monkees—and the unofficial figurehead of this cabal was the virtuoso guitarist Tommy Tedesco, Denny’s father. In the process, many of them became wealthy; they also contributed vastly to the soundtrack of 20th-century popular culture. But they’ve never been given much of a spotlight, an oversight The Wrecking Crew corrects with tunefulness and heart, if something less than full intensity. The film, made in 2008 but just now receiving a proper theatrical release, is vibrantly arranged and briskly paced. Roundtable reminiscences with surviving members of The Crew are spliced with archival interviews and footage, all of which are tied together with a graphic, pop-art punch. And the music speaks for itself; packed with hits from the ’60s that The Crew played on, the songs comprise a stellar playlist that covers everything from surf to soul to psychedelia. The excellent segment on Phil Spector winds up being its own mini-documentary on the infamous producer’s signature Wall Of Sound style, and the insights into The Crew’s contribution to The Beach Boys’ legendary album Pet Sounds adds even more dimension to that musical milestone. A lot of ground gets covered; if anything, The Wrecking Crew errs on the side of inclusion, to the point where the constant barrage of new names and faces being thrown on the screen become a blur—which runs counter to the whole point of the film. A handful of documentaries over the past few years—most notably Standing In The Shadows Of Motown, Muscle Shoals, and Twenty Feet From Stardom—have sought to do similar justice to the neglected backing musicians whose job it is to make pop stars sound like pop stars. Of those, The Wrecking Crew most closely resembles Muscle Shoals. 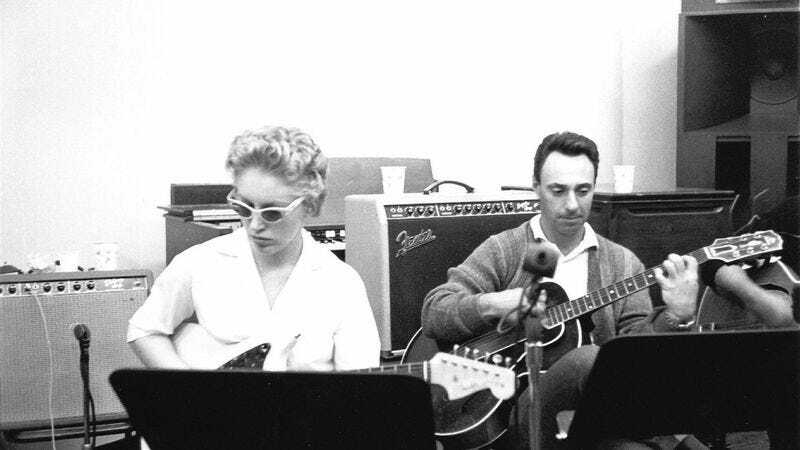 Tommy Tedesco and his collective of dedicated instrumental craftspeople, including guitarist Glen Campbell, bassist Carol Kaye, keyboardist Leon Russell, and drummers Hal Blaine and Earl Palmer, have long been critically recognized, just as The Muscle Shoals Rhythm Section has, and their story isn’t one of suffering, tragedy, or exploitation. It surely couldn’t have been all lollipops and roses for The Wrecking Crew as it built its formidable reputation and repertoire. Yet Denny Tedesco keeps the tone of the film upbeat and sunny, choosing not to dwell on many negatives. When Campbell defects to the ranks of solo singer-songwriters in the early ’70s, a movement that helped render The Wrecking Crew’s particular form of assembly-line pop obsolete, it’s delivered with an anticlimactic shrug. While that refusal to milk any conflict or discord out of its subject may help render The Wrecking Crew in a charismatic light, it also saps any tension or intensity the documentary might have mustered. 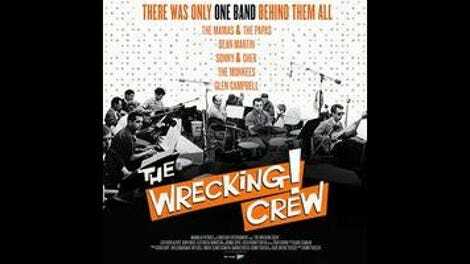 The film also skims over the topic of Kaye’s status as the only woman in The Wrecking Crew during a time when female studio musicians were rare. (Kaye’s cheerful admission that at one point in the ’60s she was making more money per year than the President isn’t exactly the stuff of drama.) And although the film ends on a somber note—Tommy Tedesco died in 1997 at the age of 67, following a stroke that robbed him of his dazzling dexterity on the guitar—it feels like a footnote to the main story. As a love letter to the director’s late father, The Wrecking Crew sparkles. As a potentially comprehensive, context-rich chronicle of one of pop music’s most inspired engines of rhythm and melody, it mostly sticks to one note.